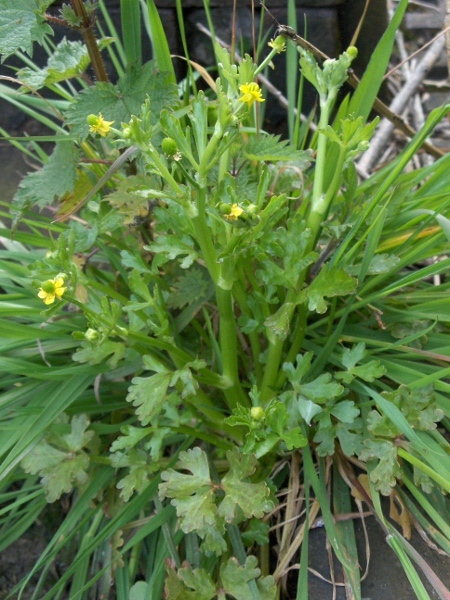 Typically growing in damp environments, the stems of Ranunculus sceleratus are thick and stocky. 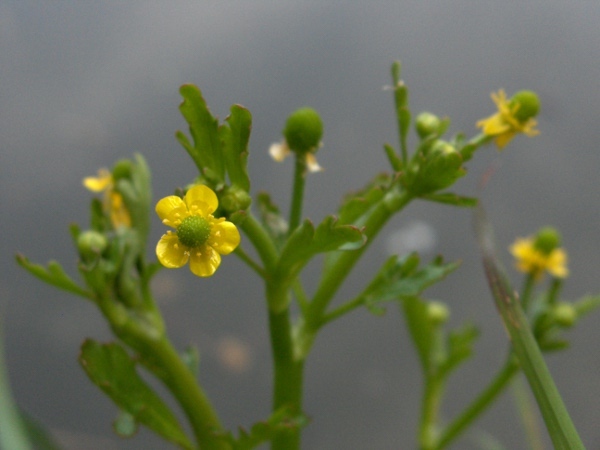 The receptacle at the centre of the flower is slightly elongated in flower. 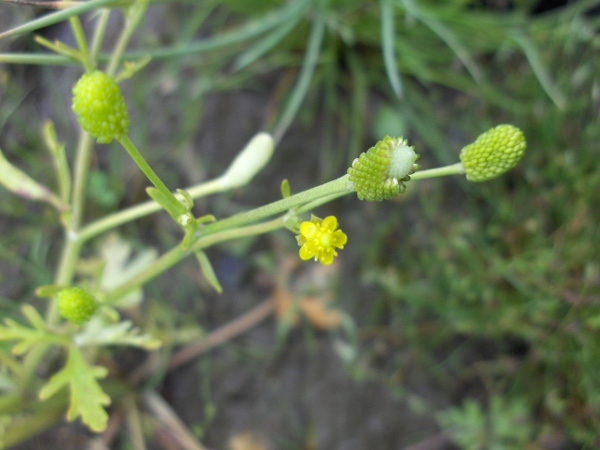 In seed, the receptacle is noticeably longer than wide, a step along the same evolutionary trajectory that produced Myosurus minimus.